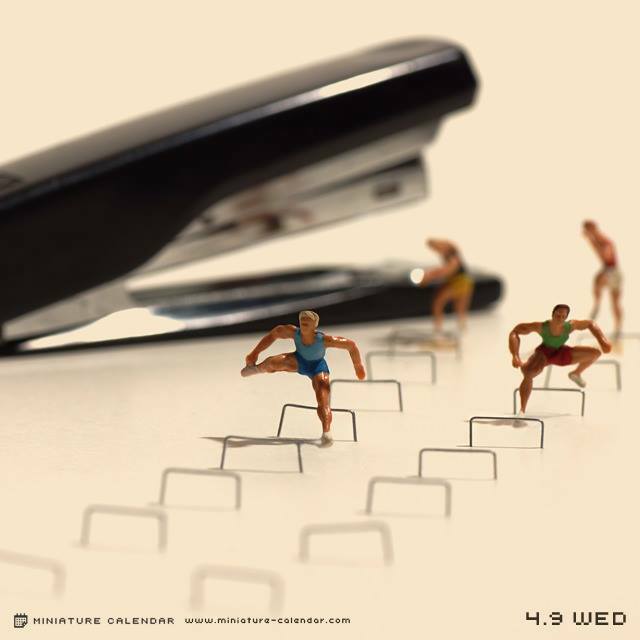 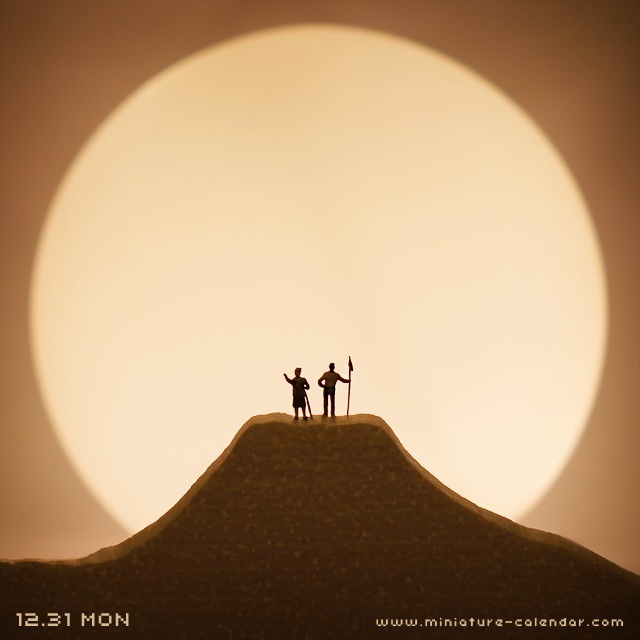 Tanaka Tatsuya has been creating miniature artworks every day for the last four years! 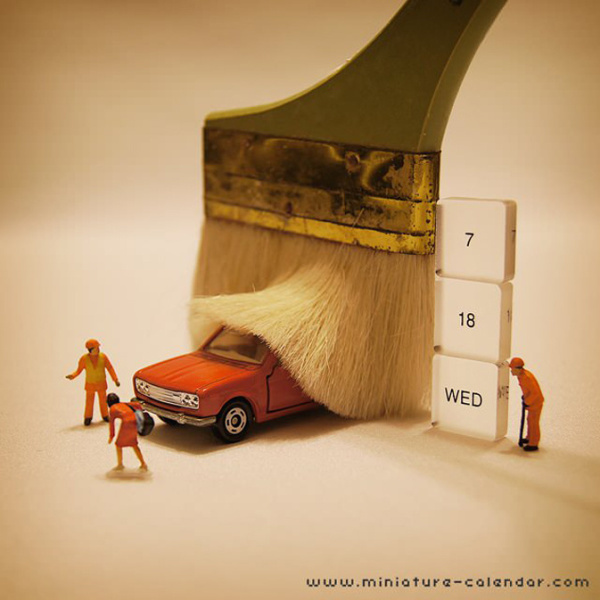 An artist is one who creates art, not necessarily on canvas with paints, but sometimes using seemingly uninteresting and banal objects, and transcending them into uniquely original creations. 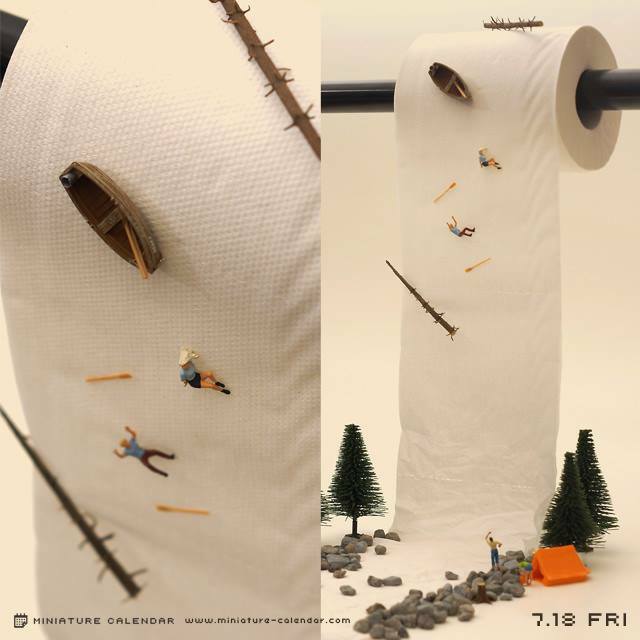 That is exactly what Japan-born artist Tanaka Tatsuya does. 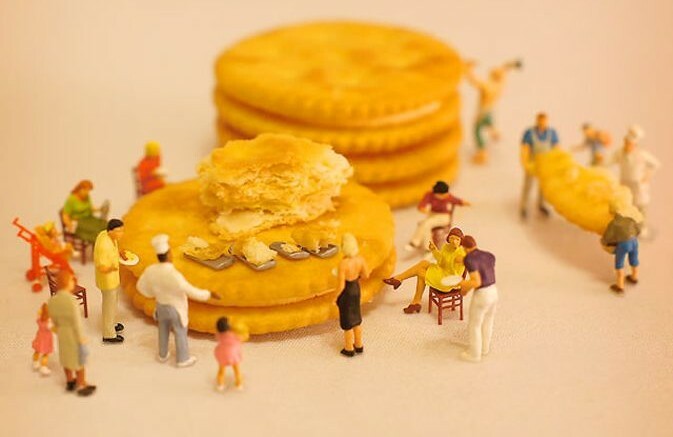 Using household staples, such as fruits, vegetables, somen noodles, soup spoons, straws, toilet paper and stationary items, Tatsuya has been producing spectacular and highly expressive miniature-scale art pieces (diorama), every day for the last four years. 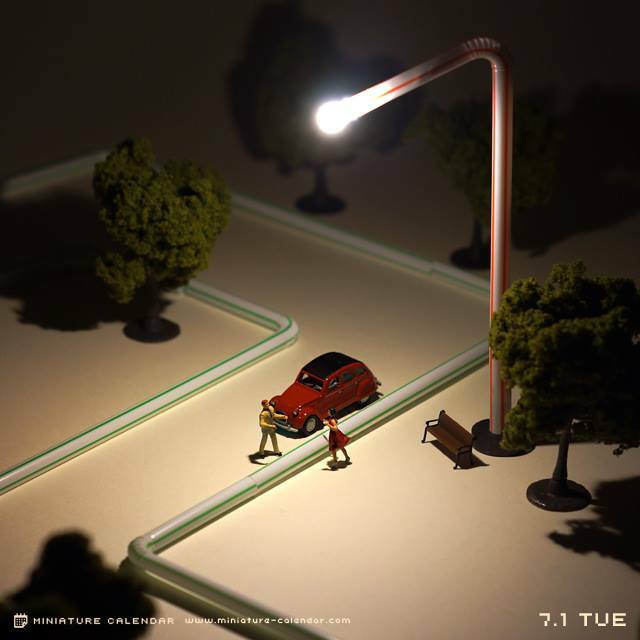 Most of the subjects depicted in his creations are actually inspired from humorous and often extraordinary scenes of everyday life. 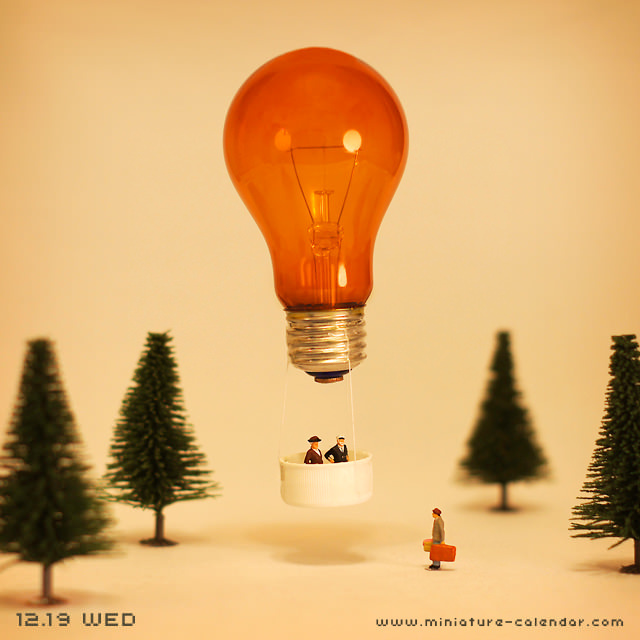 Calling his pet project the “Miniature Calendar“, Tatsuya’s style of repurposed art makes intelligent and creative use of articles usually found in the pantry and elsewhere in one’s house. 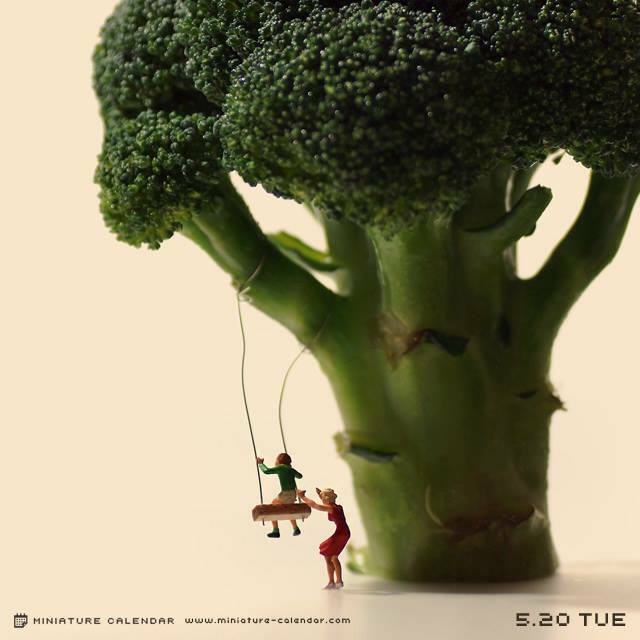 Broccoli and parsley might sometimes look like a forest, or the tree leaves floating on the surface of the water might sometimes look like little boats….I wanted to take this way of thinking and express it through photographs, so I started to put together a MINIATURE CALENDAR. 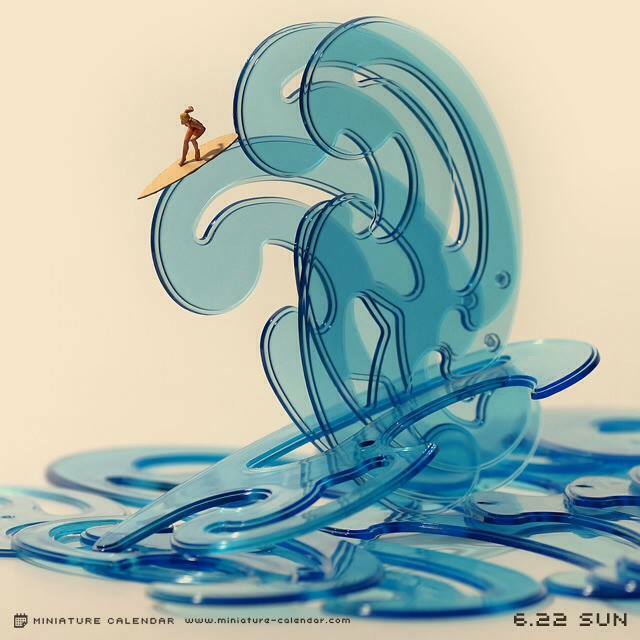 Pictures of his creations are available on his Facebook and Instagram pages. 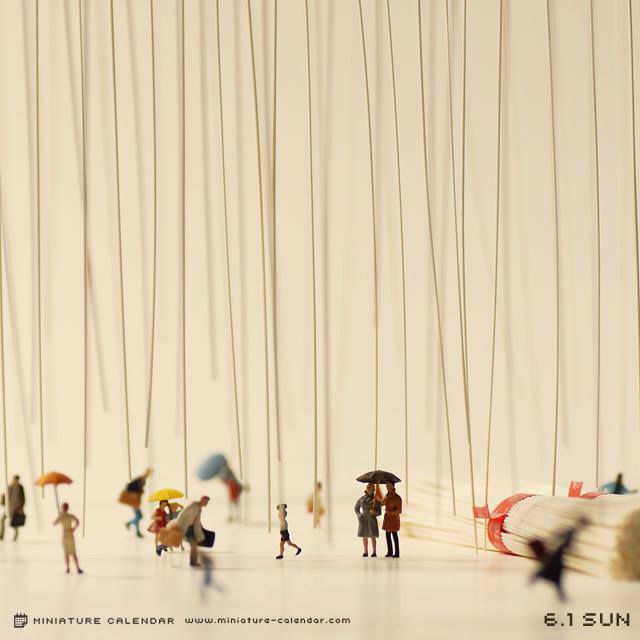 Interested buyers can also check Amazon Japan, to get copies of the “Miniature Calendar” photobook.